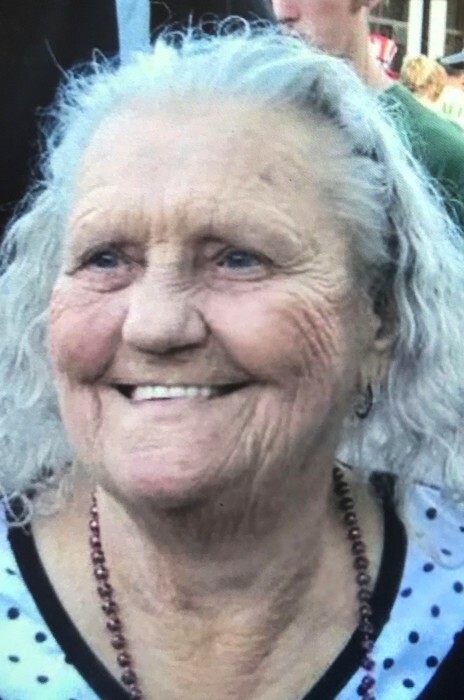 Mary Magdalene “Nellie” Stanley, 91, of Phyllis, KY passed away on Tuesday, April 2, 2019 at Pikeville Medical Center. She was born February 28, 1928 in Melvin, KY, a daughter of the late Gomer & Mellie Johnson Little. In addition to her parents, she was preceded in death by her husband, Sam Stanley; two daughters, Brenda G. Anderson & Linda Lou Anderson; five brothers, Clarence Little, Charles Little, Junior Little, Roscoe Little, & Cornelius Little, one sister, Gearaldine Hall, & her dog, Sugar. Nellie was a homemaker and member of Biggs Church of God. She loved to garden & cook for her family. Nellie had the truest love for her grandchildren and continued to spend time & play with them right up until her passing. She loved to cut up with her loved ones, loved church, & loved singing gospel to her children. Those left to honor her memory include one son: Earl (Delphia) Stanley of Pikeville, KY; three daughters: Judy (Roy) Griffith of Phyllis, KY, Mary (Johnny) Fields of Phyllis, KY, & Bernice (Johnny) Wilson of Phyllis, KY; two brothers: Jimmy (Peytra) Little of Lexington, KY, & Darrell (Martha) Little of Richmond, KY; two sisters: Fay Perkins of Lexington, KY, Vonda Wagner of Lexington; ten grandchildren: Jenny B,(Deceased), Sammy, Nicole, Johnny, Joshua, Terry, Eric, Eugenia, Kristy & Cindy; twenty five great grandchildren; and a host of family & friends. Funeral services will be conducted at 2:00 P.M. Sunday, April 7, 2019 at Biggs Church of God with Reverends Joshua Fields, Johnny Fields, Dewayne Abshire, & Steve Byers officiating. Burial will follow in the Keene Cemetery, Grapevine, KY with friends & family serving as pallbearers. Visitation will begin at 6:00 P.M. Friday & Saturday at the church with special services nightly at 7:00 P.M.